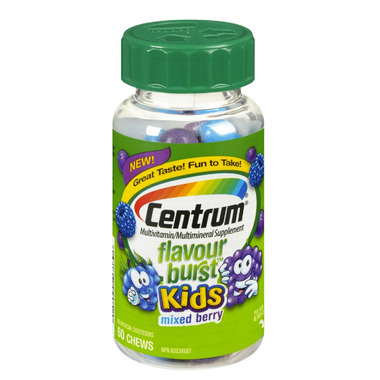 Centrum Flavour Burst Kids multivitamin chews help to maintain immune function and good health, and help the development and maintenance of bones. Your kids will love to take them ‑ they taste so good! Suggested Use: Children (4 to under 12 years old) take one or two chews daily with food. Take a few hours before or after taking other medications. 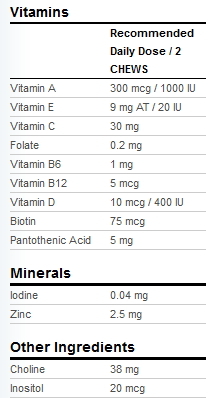 My child refuses all other vitamins. If it were not for these specific ones, my offspring would not have any.